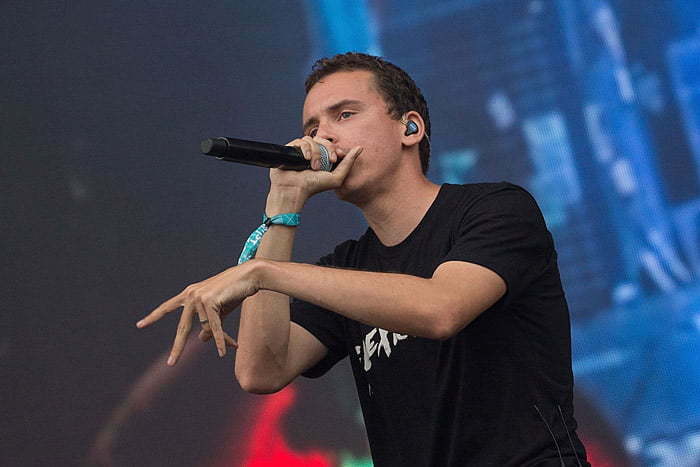 Logic broke down in tears on Friday night on stage while performing for thousands of fans at the Thrival Innovation and Music Festival. The Def Jam rapper was midway his performance in Swissvale, Pennsylvania when he suddenly just started crying and left the stage. He, however, didn’t end the show, although he admitted to contemplating pulling the plug. Instead, he went back onto the stage and explained to the fans why he was crying and finished his set. Logic says that he has been working too hard and is now just extremely exhausted. Part of the reason he explained is that he has acted on every single opportunity presented itself to him because he feared that they will never come back to him. ” I work so so hard but I feel like o don’t because so many opportunities come my way I’m scared to turn them down in fear they may never Come back to me. And during a song I broke down in tears because I’m tired but I’m so happy I have the support of my friends and my fans!,” he wrote. Because of being overworked, Logic says that he is not enjoying the fruits of his labor. This means that he desperately needs some balance in his life. “I’m constantly thinking about others but I need to think about myself. I’m super blessed but I’m working so much im not enjoying my work,” he added. Tonight mid way thru my set I broke down. I walked off stage and felt like I was gonna pass out because I work so hard. I contemplated ending the show. But I didn't. I walked back out there and I told the crowd exactly how I felt. And I persisted. Come back to me. And during a song I broke down in tears because I'm tired but I'm so happy I have the support of my friends and my fans!